RCS: Paris B 602 053 381. Siret : 602 053 381 00045. N° TVA: FR 76 602 053 381. Capital: 10.000.000€. Affiliates and Subsidiaries: Any corporation, firm, partnership or other entity which directly or indirectly controls, is controlled by, or is under common control with Groupe Floirat. Privacy Shield: The EU-U.S. Privacy Shield legal framework, designed by the U.S. Department of Commerce and the European Commission to provide companies on both sides of the Atlantic with a mechanism to comply with data protection requirements when transferring Personal Data from the European Union to the United States in support of transatlantic commerce. 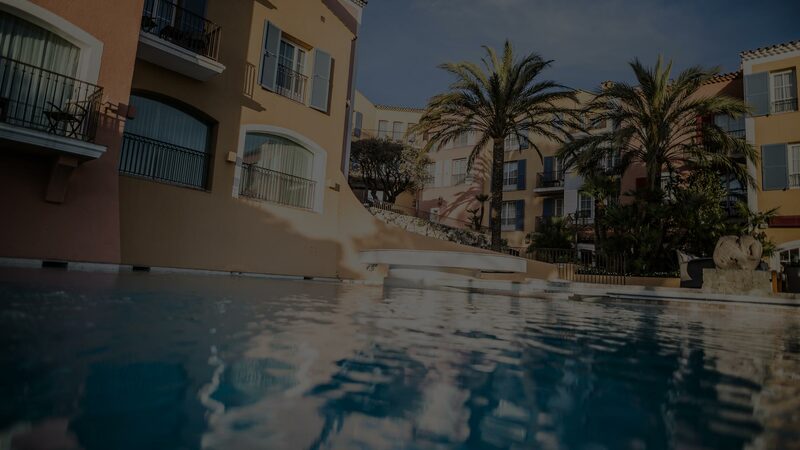 In the context of the hotel booking process – whether this takes place online on one of our brand websites, through an online booking channel, via a travel agent or directly at one of our hotels – we process your Personal Data for the purpose of (i) enabling you to reserve a room in the hotel of your choice; (ii) verifying the availability of the hotel and to administer the booking; (iii) sending you a booking confirmation; and (iv) sending you non-commercial pre-arrival emails. When staying at one of our hotels, we will collect and process your Personal Data for the purposes of (i) registering your arrival and departure at the hotel; (ii) assigning you a key card to your room; (iii) obtaining a credit card guarantee or hotel deposit to ensure payment of your stay; (iv) managing (and archiving) your hotel registration card; (v) creating or updating your profile in our hotel management system; (vi) assessing your eligibility for a room upgrade and managing this if applicable; (vii) managing payment of your stay; (viii) establishing, printing or sending an invoice for your stay; and (ix) paying a commission to your travel agent (if applicable). To ensure payment for all guests staying in a hotel room, each hotel guest is asked for a credit card or deposit before arrival. In our hotels you can benefit from additional services and facilities, such as breakfast, room service, minibar, pool, restaurant(s) and bar(s), spa treatments, laundry services, parking, taxi requests, free Wi-Fi, etc. In the event you make use of additional services or facilities at one of our hotels, your Personal Data may be processed to (i) manage the booking and use of such additional hotel services and/or facilities; (ii) administer any advance bookings of additional services and/or facilities to your file; (iii) personalize returning guests’ arrival to the hotel and the choice of room amenities and room features; and (iv) manage the expenses incurred for such additional services and/or facilities. In cases where you purchase a gift card for another person, we will process additional Personal Data for the purpose of delivering the gift card to the recipient by email or by post. We provide the opportunity to purchase physical or e-gift cards that can be redeemed at one of our hotels to pay hotel charges, restaurant(s) and spa treatments. If you have explicitly consented to receive our newsletters or marketing communications, including in relation to one of our hotels, we may, from time to time, contact you with information about our services and latest offers and process your Personal Data for this purpose. If you no longer want to receive our newsletters or marketing communications, please let us know by sending us an email data@groupe-floirat.com. You can also unsubscribe from our marketing emails by clicking on the unsubscribe link in the emails sent to you, you may also unsubscribe by updating your profile. In order to assist our guests in booking at the Byblos, planning and enjoying their stay, we offer a mobile application for our different hotel services. This mobile app can be downloaded through online app stores, including the Apple App Store or the Google Play store. (i) Enabling you to reserve a room in the hotel. To avoid having us receive or use your real-time location, do not opt in to location services. If you did opt in and have changed your mind, you may opt out of location services through your device settings or by deleting the application. Equally, if you would like to no longer receive push notifications via our Byblos mobile application, you can revoke push notification permission for the mobile application in your device’s operating system settings. If you have voluntarily installed our app on your device, and if you have granted permission for the app to track your location, then we may send a signal to the app on your device about the precise, real-time location of the device. The app may use this information to deliver special offers and promotions to you, at a time and place when the information is most relevant. For example, if you are at the Byblos hotel late in the afternoon, your mobile device may receive a signal that causes the app to notify you about drink or dinner specials. To make our mobile app and services operate better, we may also collect other information’s. To avoid having us receive or use your precise, real-time location, do not opt in to location services. If you did opt in and have changed your mind, you may opt out of location services through your device settings or by deleting the app. Should you have a particular query or feedback, including the exercise of one of your rights under the GDPR, you may contact us at data@groupe-floirat.com. In such context, we may process your Personal Data for the purposes of handling and providing an answer to your query or request or to follow up on your feedback. If you wish to organize a meeting or event in one of our hotels or if you would like more information on this possibility, you can reach out to us by directly contacting the hotel or by contacting us by other means. The Personal Data collected will be processed for the purposes of fulfilling your request to organize a meeting or event. We may use any data you provide to us for analytical purposes to optimize your experience, enhance our marketing, business and operational efficiency, create segments of our customers based on their Personal Data and tailor our offers and promotions to your preferences and consumption habits. In the context of such analytics, we analyze and may combine different data we hold about our guests, including (i) responses to guest satisfaction surveys; (ii) communications guests have with us; (iii) click-through rates for our marketing communications; (iv) our guests’ behavior on our websites; (v) bookings. We may process your Personal Data obtained through social media platforms (including Facebook, Instagram, LinkedIn, Twitter and others) or online reviews (including on TripAdvisor) concerning our Hospitality brands for the purposes of (i) addressing your questions or complaints; (ii) monitoring our online reputation; and (iii) improving our services and identifying opportunities on which we can focus. If you are in the EU, EU Privacy Law grants specific rights, summarized below, which you can in principle exercise free of charge, subject to statutory exceptions. These rights may be limited, for example if fulfilling your request would reveal Personal Data about another person, or if you ask us to delete information which we are required by law to keep or have compelling legitimate interests in keeping. To exercise any of your rights, you can file a request via email at data@groupe-floirat.com. In the event we learn that we have collected Personal Data from a child under the age of 18 without verification of parental consent, steps will be taken promptly to remove that information. If you believe that we have or may have information from or about a child under 18 years of age, please contact us at data@groupe-floirat.com.